Will Brinson is joined by Ryan Wilson and Sean Wagner-McGough to break down the latest draft buzz around the top picks, to examine what surprises might happen and then to recap Game of Thrones Season 8, Episode 2. Will Brinson talks about the latest news around the NFL plus the Pix Six Podcast plans for the draft before he's joined by Ryan Wilson (11:30 mark) to break down three of the six most interesting teams in the 2019 NFL Draft. 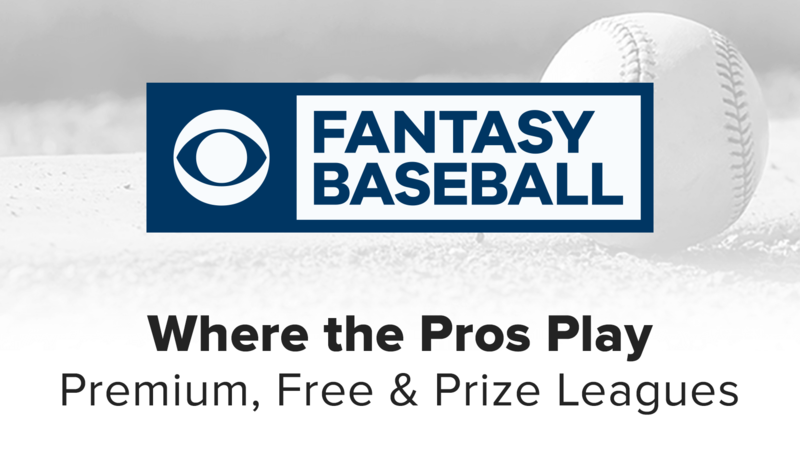 Will Brinson and Ryan Wilson break down the live CBS Sports HQ mock draft from Thursday and then Brinson welcomes on Dane Brugler of The Athletic to talk about his giant mock draft guide and how he sees the draft playing out, plus some prospects to watch. Will Brinson, John Breech, Ryan Wilson and Sean Wagner-McGough break down the 2019 NFL schedule. Will Brinson and Brady Quinn break down Russell Wilson signing a new $140 million extension with the Seattle Seahawks. UPDATE: Russell Wilson inked a record deal after this podcast was published. Stay tuned for analysis of that contract coming up later Tuesday on the Pick Six podcast. Will Brinson, Ryan Wilson and Sean Wagner-McGough break down the latest Russell Wilson news, take a look at the best matches for each team in the AFC West in terms of prospects and then analyze the season premiere of Game of Thrones. Will Brinson, Ryan Wilson, John Breech and Sean Wagner-McGough break down Tiger's win at the Masters, talk about the NFL news of the weekend and look at the best prospect fits for the teams in the AFC North. Will Brinson, Sean Wagner-McGough, John Breech and Ryan Wilson take a look at which prospects would be the best fit for the teams in the AFC East while also running down the latest news and notes from the NFL and eventually making their Game of Thrones predictions for next season. Will Brinson and Brady Quinn discuss their picks for the Masters (! ), look at how Josh Rosen will fit in with Kliff Kingsbury's offense should the Cardinals stand pat at the quarterback position, how the Patriots handled free agency and how Aaron Rodgers will work in Matt LaFleur's new offense for Green Bay. Will Brinson and CBS Sports NFL Insider Jason La Canfora break down the latest news and notes from around the NFL and then go over some wild possibilities for where Russell Wilson could be traded this offseason if he and the Seahawks don't hammer out a deal. Will Brinson and Sean Wagner-McGough break down the latest surrounding the Packers and Steelers drama and pick which teams they think will miss the playoffs in 2019. Will Brinson, John Breech. Ryan Wilson and Sean Wagner-McGough take a look at the latest news and notes from around the NFL and then make a pick for their best possible bounce back playoff teams for 2019. Will Brinson and Pete Prisco break down the latest news and notes around the NFL including the buzz that Kyler Murray might not be a lock for No. 1 overall now, what the Seahawks should do about Russell Wilson's contract, the demise of the AAF, what sneaky draft prospects there aren't enough people talking about, who had the best offseason and what to expect in the coming Game of Thrones season. Will Brinson and Sean Wagner-McGough break down the latest news and notes around the NFL (not to mention MLB! ), provide some handy household tips and then dive into the six most important teams in the 2019 NFL Draft. Will Brinson breaks down the latest news and notes from around the NFL, including the AAF folding, Russell Wilson's contract demands and then he's joined by R.J. White to talk about the biggest risers and fallers in the NFL Draft as well as some sneaky team needs from around the league. Will Brinson and John Breech discuss the latest news and notes around the NFL, including Tom Brady's April Fool's Day joke, the Browns trading Emmanuel Ogbah to the Chiefs and then they look at some early NFL win totals released by Las Vegas. Will Brinson and Ryan Wilson break down the latest news and notes surrounding the NFL and take a look at Wilson's three-round mock draft. Will Brinson and Sean Wagner-McGough break down the latest news and notes from around the NFL, including the Dolphins trading Robert Quinn to the Cowboys and what Miami might be doing, the latest Josh Rosen trade buzz, Greg Schiano leaving New England and then they look at the 2020 NFL free agent class. Will Brinson and Brady Quinn break down the latest rule changes in the NFL and take a look at the biggest news around the league. Will Brinson breaks down the latest news about pass interference being made reviewable for the 2019 NFL season and then is joined by Pete Prisco to talk about the latest happenings at the NFL owners meetings in Arizona. Will Brinson breaks down some NFL headlines from Monday and then is joined by CBS Sports NFL Insider Jason La Canfora to talk about Rob Gronkowski retiring and the latest buzz from the NFL owners' meetings in Phoenix. Will Brinson, Ryan Wilson and John Breech talk about the legacy of Rob Gronkowski after the tight end retired, what the Patriots will do without him on the field moving forward and touched on the rest of the news from around the NFL. Will Brinson and Ryan Wilson break down the latest buzz around the draft and talk about the upcoming rules changes for the NFL owners meetings. Will Brinson and John Breech break down the latest news and notes from around the NFL, including Le'Veon Bell taking shots at the Steelers. Then they break down Breech's free agency rankings and reveal who they're picking in their brackets. Will Brinson, R.J. White, Tom Fornelli and Ryan Wilson finish up their three-part mock draft for the 2019 NFL Draft following free agency. Will Brinson, Ryan Wilson, Tom Fornelli and R.J. White break down the second part of their mock draft for the 2019 NFL Draft after the first wave of free agency. Will Brinson, Ryan Wilson, Tom Fornelli and R.J. White do a mock draft for the first 10 picks of the 2019 NFL Draft. Will Brinson and Brady Quinn break down the biggest storylines from the last several days of free agency, including (surprise!) a rant about the Giants and a debate about their plan. NOTE: This was recorded before Jordy Nelson was released by the Raiders. Will Brinson, Sean Wagner, John Breech and Ryan Wilson break down the latest news and notes from free agency including more fallout from the Odell Beckham trade, the Ravens making moves, the Jaguars releasing Blake Bortles, Teddy Bridgewater's status with the Dolphins and much more. Will Brinson, John Breech, Ryan Wilson and Sean Wagner break down the crazy news of Le'Veon Bell signing (2:00), Odell Beckham being traded by the Giants to the Browns (18:00), then discuss Dee Ford being traded to the 49ers (42:00), and take a spin around to grade all the signings by various NFL teams on the second day of free agency (1:06:00). Will Brinson, Ryan Wilson, John Breech and Sean Wagner hop on the horn to break down all the signings from Day 1 of NFL free agency, including Nick Foles to the Jaguars (2:00), Landon Collins to the Redskins (12:00), Tyrann Mathieu to the Chiefs (16:30), Trey Flowers to the Lions (16:00), Kwon Alexander to the 49ers (28:00), Trent Brown to the Raiders (33:00) and a slew of WR and RB signings up through Monday evening. Will Brinson is joined by John Breech and Ryan Wilson to break down the Antonio Brown trade from every angle and then to dive into the other big news that came down around the NFL over the weekend. Will Brinson is joined by Ryan Wilson and John Breech to break down a crazy day in the NFL. First up, Brinson and Breech talk about the Case Keenum trade from the Broncos to the Redskins (1:00), then Wilson joins in to discuss the Odell Beckham rumors (11:45) and some Josh Rosen/Kyler Murray talk. Finally the guys preview the upcoming NFL free agency period (26:00). Will Brinson is joined by CBS Sports NFL Insider Jason La Canfora to break down the latest news and notes surrounding the NFL, including the rumors about Kyler Murray going No. 1 overall to the Cardinals or a possible trade AND the possibility of Antonio Brown being traded with a deadline looming this Friday. Will Brinson is joined by Sean Wagner to break down all the guys who were franchise tagged by various NFL teams, to examine the market for the guys who weren't tagged and to discuss the latest NFL news. Then the guys break down the latest Josh Rosen rumors and where he might go in a possible trade, plus some mock draft discussions. Will Brinson and Brady Quinn break down the biggest winners and losers from the 2019 NFL Combine (3:00) and then dive into what sort of stuff could happen this offseason with the various trade rumors and franchise tags we've seen (38:00). Will Brinson is joined by Ryan Wilson and John Breech (13:00) to break down the third day of the NFL combine and talk about some of the guys who were winners and losers down in Indianapolis. Will Brinson is joined by Ryan Wilson, Jamey Eisenberg and Chris Trapasso to break down the latest from the NFL Combine, including the quarterbacks throwing on the field and the crazy DK Metcalf workout showing along with tons of other news and notes from the combine. Will Brinson is joined by Joel Corry and John Breech to talk about the franchise tag situations around the NFL and then Brinson, Breech and Ryan Wilson break down Kyler Murray's performance on the podium and discuss other winners and losers from the second day of the combine. Will Brinson is joined by Jason La Canfora, Pete Prisco and Jamey Eisenberg to break down the latest from Kyler Murray's weigh-in a the combine as well as the news that Jason Witten is returning to the Cowboys. Then Brinson, JLC, Ryan Wilson and John Breech start to talk more combine and end up hearing about the time Cal Ripken chewed out JLC in the Yankees clubhouse. Will Brinson is joined by Brady Quinn, Jamey Eisenberg and Pete Prisco live from the floor at the 2019 NFL Combine to break down the latest news and notes around the NFL including where Antonio Brown might land, whether the Cardinals should draft Kyler Murray and how the Nick Foles situation will unfold. Some technical difficulties with Will Brinson in Indianapolis, but full podcast coming later today. Will Brinson is joined by Ryan Wilson and Jon Ledyard of TheDraftNetwork.com to break down the 2019 NFL combine and look at the wide receiver group, the tight ends and the offensive linemen in this year's group of prospects. Will Brinson is joined by CBS Sports NFL Draft Analyst Ryan Wilson and Draft Network analyst Jon Ledyard to break down the 2019 NFL Combine. First Will looks at the news and notes from around the NFL, then the guys break down the NFL combine in terms of what to expect from the quarterbacks and the running backs in this year's crop of guys. Will Brinson and CBS Sports NFL Insider Jason La Canfora break down the latest news and notes around the NFL including possible landing spots for Antonio Brown (10:00), what the Steelers might get in compensation and where Le'Veon Bell might end up playing (22:00). Then the guys dive into the Russell Wilson trade rumors (29:00), whether the Giants might ship out Odell Beckham (40:00) and what to expect from the franchise tag window (46:00). Will Brinson and Brady Quinn break down the latest news from around the league including the Steelers announcement they won't be franchise tag/transition tagging Le'Veon Bell as well as the Steelers confirmation on their plan to trade Antonio Brown. Then the guys dive into some NFL combine discussion. Will Brinson and Sean Wagner-McGough break down the latest news and notes around the NFL, including Antonio Brown's meeting with the Steelers and possible landing spot for Colin Kaepernick as well as taking a look at the free agent NFL running backs. Will Brinson breaks down everything to know about the franchise tag period and then takes a look at the biggest AAF takeaways of the weekend from Ben Kercheval. Will Brinson is joined by Ryan Wilson and Chip Patterson to do another full 2019 NFL Mock Draft, making picks for every single team 1-32 and then to chat about some of the AAF action from the weekend. Will Brinson and Sean Wagner-McGough break down the latest news and notes around the NFL, including the Bengals being unable to find a defensive coordinator, the NFL's combine situation and Pierre Garcon being cut. Then the guys discuss some airplane etiquette (25:00) and talk about where Antonio Brown could land (33:00), Odell Beckham trade rumors and pick a team for Sean to root for in the AAF. Will Brinson and John Breech dive into the big news of the day, with Joe Flacco being traded by the Ravens to the Broncos (3:00), breaking down what it means for Denver, what it means for Flacco and what it means for Case Keenum. Then the guys examine the Antonio Brown situation (30:00) and where he could be headed in 2019 and look at the crop of free agent QBs out there. Will Brinson and Jason La Canfora break down the decision by Kyler Murray to focus entirely on football (3:00) and what it could mean for his draft prospects plus the Cardinals situation with Kliff Kingsbury (20:00) before breaking down the decision by the Browns to sign Kareem Hunt this offseason despite an impending suspension (32:00). Will Brinson and Brady Quinn break down the AAF performance from the weekend and break down the other news from around the NFL. Will Brinson, Ryan Wilson and Chip Patterson go LIVE with a 2019 NFL Mock Draft to make picks for every single team from 1-32, including the Packers AND Patriots drafting quarterbacks with their first round picks. Will Brinson is joined by Pete Prisco to break down the upcoming free agent class for the 2019 NFL offseason. Then Ben Kercheval hops on the podcast to tell us everything we need to know about the upcoming Alliance of American Football league that will start up on Saturday, including a breakdown of the rules, rosters, teams and gambling options (because gambling is legal in Bushwood this time). Will Brinson and CBS Sports NFL Insider Jason La Canfora break down everything that happened during Super Bowl week (5:00), possible fallout for the Rams after losing to the Patriots (15:00), Greg Schiano to the Pats (27:00), the hiring of Brian Flores and plans for Ryan Tannehill (28:00), what Zac Taylor will do with Andy Dalton (31:00), what will happen with Nick Foles and the Eagles (35:00) and what teams could do in free agent (40:00). Will Brinson and Ryan Wilson break down the leftover Super Bowl nuggets (2:00), what the Rams will do this offseason (5:00), what the Patriots should do this offseason (18:00) John Elway's love of Drew Lock (23:00), Wilson's latest 2019 NFL Mock Draft (30:00) plus much more. Will Brinson and Brady Quinn take a look at what happened to the Rams and Jared Goff in the Super Bowl, if this was the most impressive coaching job/defensive performance by Bill Belichick and the Patriots, what the future might hold for Tom Brady/Rob Gronkowski, whether or not Julian Edelman is putting himself in the Hall of Fame discussion and much much more. Will Brinson, John Breech and Ryan Wilson break down the Patriots 13-3 win over the Rams in Super Bowl LIII. 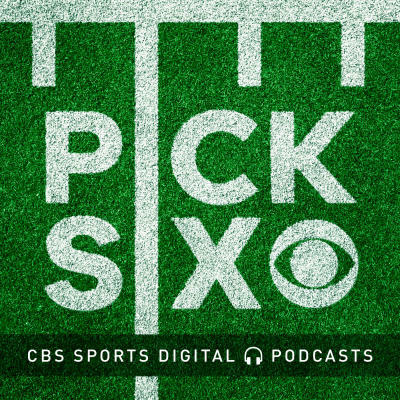 A special Saturday edition of the Pick Six podcast as Will Brinson sits down with Pete Prisco, Pat McAfee Darren Rovell and Geoff Schwartz to talk all things Super Bowl and more.